One Canada Square Restaurant and Bar is located in the north-eastern corner of the lobby of the iconic One Canada Square building, once the tallest building in the UK. The restaurant boasts an art deco inspired décor featuring two sweeping staircases, luxury leather furnishings and marble fittings that create a lavish corporate ambiance. The restaurant is split over the ground and mezzanine floors and is open for breakfast, lunch and dinner, as well as bottomless Saturday brunches. The menu is Modern European, but for those not looking for a full meal, the bar area offers a bar menu as well as a diverse range of cocktails. At first glance One Canada Square looks very corporate. However, as the restaurant area on the ground floor is neatly nestled behind the cocktail bar, helping to create a sense of intimacy. On Fridays and Saturdays the restaurant’s in-house pianist belts out some wonderful pop songs and old classics. We visited on a Friday night and the music was great, setting the tone for a lovely relaxed evening. 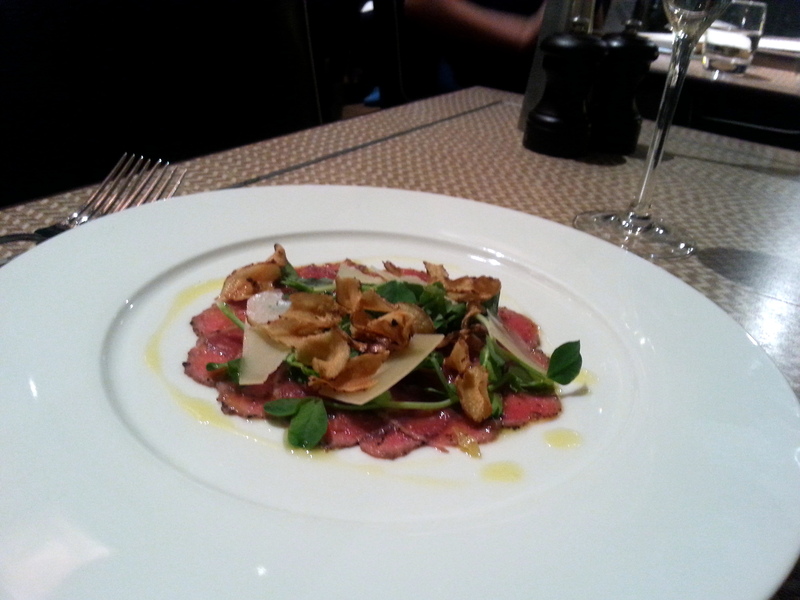 We started with some wild venison carpaccio which was delicious (£9). The meat was tender with some crispy fried slivers of artichoke providing a lovely crunchiness to the dish. There were also some touches of rosemary and a dash of truffle oil that created an aromatic finish. Half a whole Scottish lobster (£19.50) was beautifully cooked. Some lobsters can be a bit bland but this was juicy and full of flavour. Accompanying the lobster was some melted garlic and parsley butter that was oh-so-fattening but also oh-so-good! 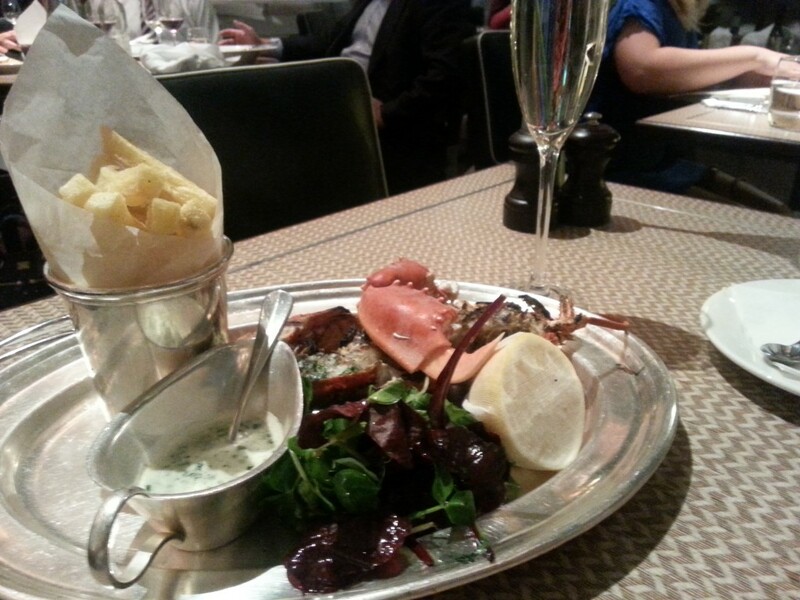 Hand cut chips served as accompaniment and were very moreish. From the specials we selected a hearty piece of pan-fried wild Brixham turbot (£32). This was a well-constructed dish and included accompaniments of creamy saffron mash and some soft padrón peppers. There was also some roasted cauliflower which were particularly pleasing as they yielded a charred flavour. But the best element on the plate was the oxtail jus as it was rich and hearty. Beautifully reduced with soft pieces of oxtail running through it, the jus paired particularly well with the turbot as it gave the fish another dimension. A dish of Peterhead cod fillet came with a king prawn risotto and samphire (£22). The fish was moist, but it needed more seasoning and a crispier skin. The risotto was also a little too wet and the prawns were mushy. This was a beautifully presented dish, but in short, it tasted dull. To desserts, and a baked New York style cheesecake (£6.50) worked a treat. Although the cheese filling could done with a cheesier flavour, the crunchy, buttery biscuit base helped to elevate the dessert as it was superb. 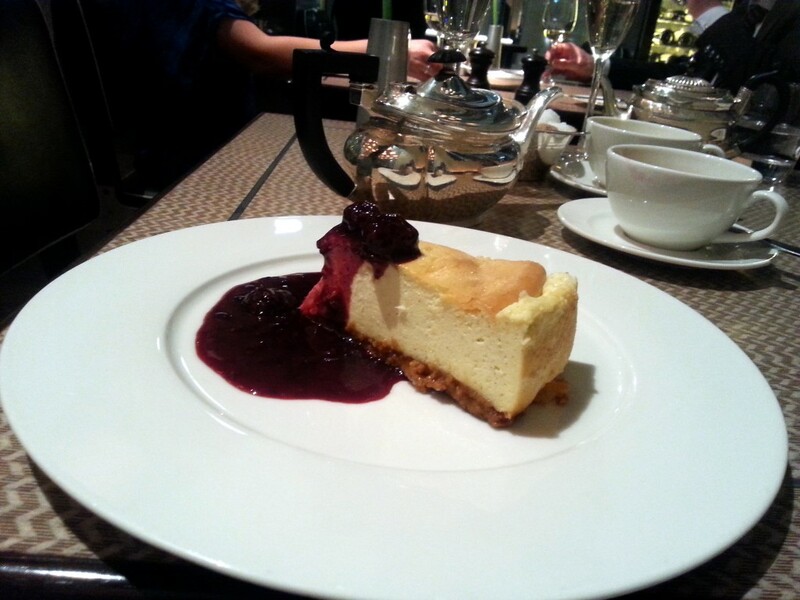 A blackberry coulis provided some acidity and contrasted well with the richness of the cheesecake. 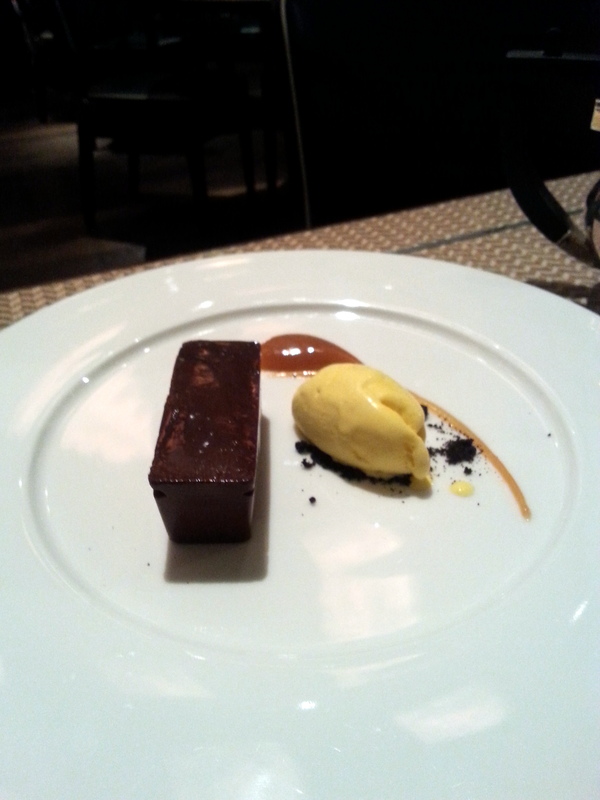 A slice of chocolate delice (£6.50) had a good thick texture and oozed with a deep dark chocolate flavour. It resembled a decadent praline, but because it was quite rich, it needed a textural contrast such as a layer of crunchy biscuit. A salted caramel and a burnt orange ice cream completed the dessert, both of which were yummy. 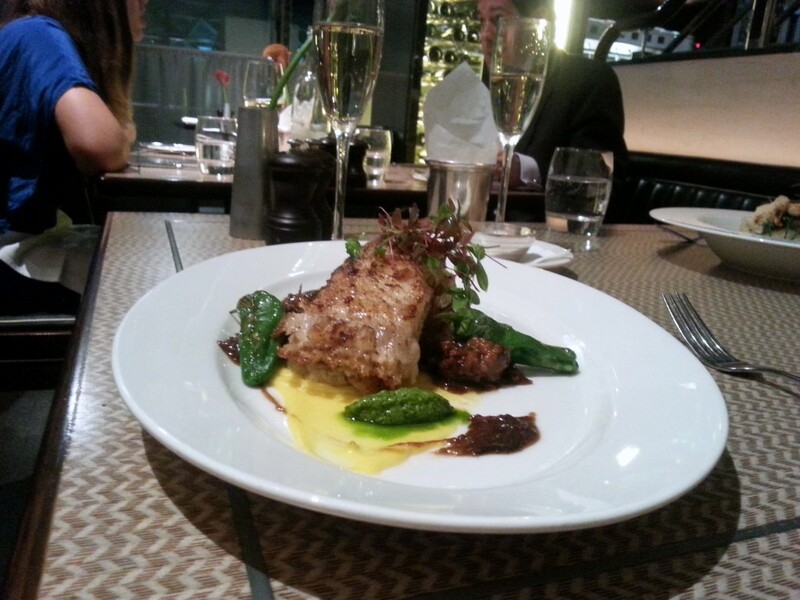 One Canada Square proved to be a well-rounded affair with polished service and a smart ambiance. The cod dish fell flat but otherwise the food was well executed. It’s a smart venue, well suited for business meals and after work drinks. Prices: £27 to £62 for three courses, excludes drinks and service.